$2/1 Ambi Product = FREE Cleansing Bars at Target! 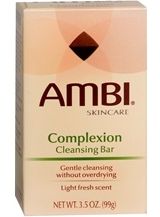 Ambi Complexion Cleansing Bars are $1.99 reg price at Target = FREE! Great post. It’s difficult to find high-quality writing like yours nowadays.Target has extra ways for their customers to save even more with store coupons.